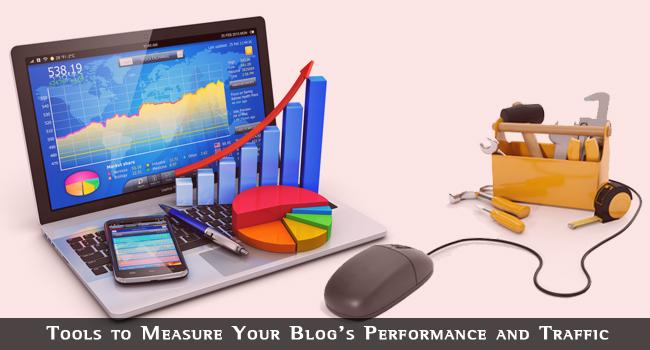 It is important to measure your blog’s performance if you want to use it to attract visitors for the purpose of making money or building up a good readership for any reason. There are several aspects of your blog that can be quantified and therefore measured. Before doing so, however, you must understand what you are measuring and how to use the results. We shall discuss some of the measurable factors of a blog that can be measured, some tools to help you do so, and how you can use the results to help you meet your objective. Every blog must have an objective, whether that is simply to give you something interesting to do with your spare time or to provide you with enough income so that you no longer need the day job. First, let’s have look at the tool every webmaster and blogger should be using: Google Analytics. Google Analytics is a free service that provides detail statistics about your traffic, conversions and even your sales. It is the most popular and widely used service for the analysis of web traffic, irrespective of your type of site or your business. The basic free service is sufficient for the vast majority, although there is also a paid Premium version available for larger firms offering information on up to 1 billion hits month and 3 million rows of data. Since this is priced at $150,000/year we can forget that for most of us! 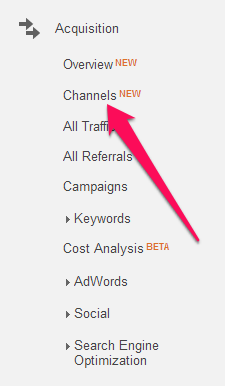 Google Analytics not only informs you how many visitors you get but also where they come from. If you have a handle on the source of your visits and page views then you can milk these sources for more traffic. This service enables you to direct your advertising to where you may get best results. It also analyses whether you visitors are repeats or unique. It is very important to know whether your 1,000 page views yesterday were from the same 100 people or from them and 900 new visitors. Event tracking enables you to discover how many visitors clicked your internal page links, played your videos or clicked on your ads. You can see the landing pages they used to enter your site, the pages they followed and where they left. By knowing the most common exit pages, you can work on improving these to keep them with you. Once they switch to another such page, you can work on that and so on. This is all very valuable information. We shall be referring to Google Analytics quite a bit during the rest of this post. Heat maps provide you with a visual representation of the most popular areas of your web page or blog that people hover over with their mouse or cursor. The heat map software checks where the cursor spends most of its time, and click analysis indicates the areas of your page where most people click – on adverts, offers or even to switch pages. Areas of most popular are generally shown in red, ranging through orange and yellow down to green and blue for the less popular sections of your blog. Usually, the top of your page is hotter than the bottom. Your job would be to equal that out by making you entire page interesting to readers. Two of the top heatmaps services are Clicktale and Crazy Egg. Clicktale is the best of the free heatmap applications and gives you an excellent idea of the most popular areas of your web pages. If you want a more comprehensive analysis, then Crazy Egg provides this. After a short fee trial period, you pay from $9/month for 10,000 visits to $99 for 250,000. The professional Clicktale options are superior to those of Crazy Egg but are designed for top companies and corporations that are willing to pay up to the top price of $20,000/year. In order for you to have total control over your website or blog, you must be aware of as many factors relating to your traffic, and the behavior of your visitors, as possible. Here are the more important of these, and those that you should make an effort to record and then analyze. The number of visits recorded to your site refers to the number of times somebody has accessed your site. Such visits do not necessarily indicate the number of individual visitors since the same person could be visiting your site multiple times. This metric separates visits from individual visitors. If you receive 1,000 visits but only 300 unique visitors, it means that 700 of your total visits have been from people who have visited your blog before. It is important to have a good balance between the two. It is not a good sign if all visitors are unique because that means that either a) nobody thought your website or blog worth visiting again, or b) they forgot the link to your site. Consider a subscription form to enable you to contact them later. Page Views refers to the number of times your page has been viewed. Even if somebody clicks to ‘reload’ or ‘refresh’ your page, that adds one more count to your Page Views. Each visit will add at least one page view – if your page views are the same as your visits, then nobody clicked to another page on your site. You should check your links for what they offer, and try to persuade visitors to visit other pages or posts. How to Use the Metric: These figures can be used to test changes to your website or blog. First track your visits and page views for a specific period before making changes – let’s say 14 or 28 days. Then make changes to your site; layout, content or even your graphics. Check again, and if your metrics go up, then continue with the changes. Keep checking to make sure it was not a temporary blip in your views. 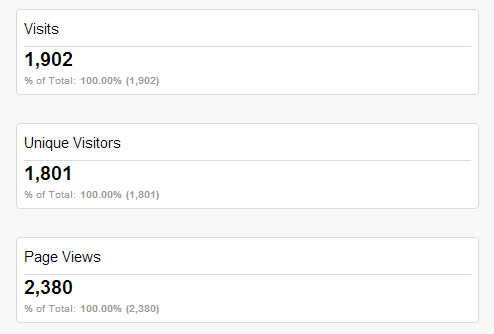 How to Measure Visits: Google Analytics offers you a good indication of the number and source of your page views. Log in and click on ‘Reporting.’ You will then find the Visits, Unique Visits and Page views. These metrics are provided graphically and numerically. You will also find the bounce rate (those leave the landing page without further interaction,) the average visit duration time in seconds, and the number of pages accessed per visit. All of the above information will give you an insight into the effectiveness of your SEO and advertising and also what visitors thought of your site once they reached it. A low bounce rate and high visit duration indicate an interesting landing page, while the opposite will almost certainly result in a low visit time and no accessed pages. Remedial Action: If your stats are poor, then you can use them to make improvements to your blog or website – in fact, it is your landing page you must work on. That is the first page visitors see, and if they don’t like it them they will leave. If you have a blog it might pay to use your latest blog post as your landing page – this is the default for most blogs. Then, if a visitor is not impressed with their first visit, they may be so if they visit again. If you continue to get poor results, then perhaps you should write a page filled with great content – or offers – and use that as your landing page. It’s all about testing, and finding a good page to present to unique (first time) visitors. That might be one of your most popular posts or a static page you have written just for this purpose. You can test one or two, and select the one that brings best results. Google Analytics is the best software on the planet to help you achieve this. Segmentation: With the above reports and analysis, you can segment your results into groups. You can create reports only for visitors from the USA, or from Asia or Europe. You can check on those who visit at certain times of the day and compare results on specific pages or campaigns between specified geographical locations. For many people, this is extremely valuable information – all available free of charge using Google Analytics. Everybody who starts up a blog or a conventional website has an objective or goal in mind. It might be just to be able to put forward their opinions, to further their hobby or to make money. Irrespective of what these are, they must have a goal in mind or there’s no point in having the site. If you genuinely want to track and measure your success, your must have goals to use as a target or standard for your measurement. If you have no goal, then how do you know if you are succeeding or failing? You can have short-term a long-term goals, but you must have them. So, one goal could be to have visitors to your blog to click on a link for more information or to access a review of a product. Another could be to achieve 5,000 visits in a month. You can set such goals in Google Analytics, which will identify if such short-term goals are met. The long-term goal might be a click on the sales page or the ‘Buy Now’ button. You can access the Goals Report in Google Analytics, and so assess the effectiveness of your sales campaign. If you are unhappy with the results, check up on the previous metrics and take action to improve the content or layout of your pages – or perhaps have another look at your product? It’s not always your fault that a product fails to sell! That point having been made, keep in mind that goal-setting is important. It provides a base for your measurements. The source of your traffic is a very important metric. Among the most important tools to measure your blog’s performance is where your traffic comes from. By identifying that, you can focus on that source with new blog post content and also attack those sources you are failing to impress with advertising and useful information. 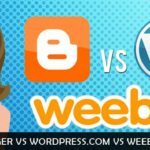 Maybe you are getting all your clicks from other blogs where you have perhaps made constructive comments or maybe have readers interested in your niche. You might expect visitors from golfing blogs to visit you own golfing blog. It’s the sources that are not working for you that should be focusing on. Never ignore your existing free traffic sources, but also tackle those others that should be doing better for you. Maybe an article marketing campaign can help – it doesn’t hurt to publish good content on article directories such as Ezine Articles and social media. Read our publication “The Complete Blog Traffic Guide” if you want to increase your blog traffic. Perhaps you are using Google Adwords or some other paid adverts. You will want to know the volume of clicks on your adverts. Both Google Analytics and heatmap software can provide you with this information. Google does it by recording the links your visitors click on. You can analyze this information and perhaps test the impact or attraction of your adverts according to the results. However, another very important aspect of advertising is where on your web pages your visitors tend to hover around. That’s where you want your ads, and that’s where heatmap and click recording software mentioned earlier becomes very useful. If you use Adsense, the heatmaps can give you a clue as to where to place your Adsense blocks – but stay within the Adsense TOS! Once you click on the ‘Evaluate…’ link, you will find information on the source of your visitors, otherwise known as referrers. One potential source of large numbers of visitors is your RSS feeds if you have a feed link on your site. It is not our intention here to discuss RSS, but it can be a profitable source of traffic. There are several software applications that can track those that subscribe to your blog by RSS. The two most common are Feedburner and Feedpress.it – each of these can identify traffic from your RSS feed. However, they go way beyond that in being able to offer other services to persuade people to subscribe to your feed. 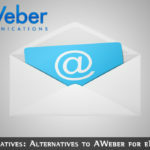 They offer potential subscribers more ways to subscribe to your blog, with more benefits to them if they do. Although its free version may be slightly down on Feedburner with respect to tracking, the features offered by Feedpress are superior in almost every other respect. However, Feedpress is exceptional if you take the Premium option. For only $3/month you get an amazing range of tools. Included are a WordPress plugin, full social networking sharing, diagnostic tools, responsive email support and a full JSON API – none of which come with Feedburner. Not only that, but Feedpress never appears inside your feed. It is important to track traffic from you RSS feed if you have one. While Feedburner is OK, Feedpress is superior. We believe it worth the $3/month or $30 for a whole year. It is important for you to have a tab on how many visitors you get to your blog from cell phones and other mobile devices. Google Analytics can help you with this information. 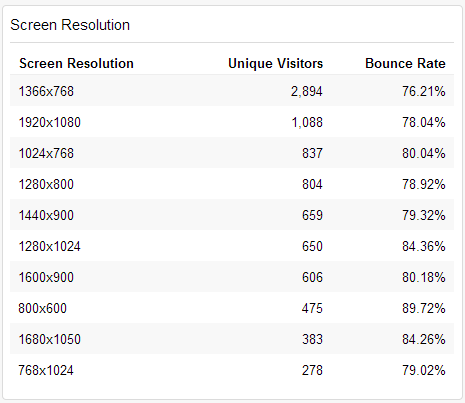 You can see, not only how many people visit your blog from a mobile device, but also which device they are using. Are you aware of how your web page or blog post looks like on an iPhone, Samsung or a mini-tablet? 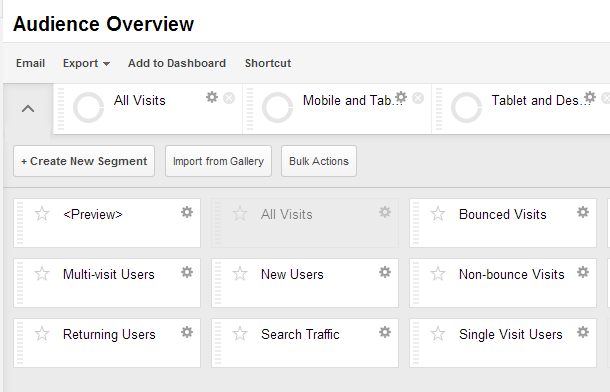 Google Analytics shows you how many mobile visitors you get, and also how they see your site. This helps you to modify your page to make it look better on smaller screens. 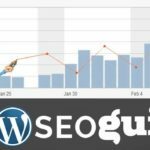 An alternative to Google Analytics is Jetpack – shown prominently in most WordPress plugin lists. Although it is a useful plugin, Jetpack cannot compete with GA in its flexibility and breadth of application. However, Jetpack is a good plugin if you are not conversant with website analytics. There are many other tools that can adequately provide you with the type of analytics described above. 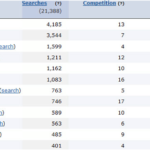 Included in these are Net Insights, Omniture, nStatistics, GoingUp, Awstats, Piwick, Clicky and Spring metrics. Check them yourself and make your own mind up, but we recommend Google Analytics, Feedpress, and Crazy Egg or Clicktale. In order to measure your blog’s performance, it is important that use the right software or WordPress plugins. Clicktale is the best free heatmap and clicks analysis software around, though Crazy Egg at $9/month beats it. Clicktale beats everything for corporate use – though at a high price. If you do not use some form of tools to measure your blog’s performance then you cannot expect to achieve your very best in promoting it and benefiting from it. Google Analytics is the best analytical software available right now, and it is free. There are other software applications and plugins you can use to inspect specific aspects of the performance of your blog or website. It may be critical to your success that you use such tools to measure your blog’s performance and traffic. Don’t ruin your chances by ignoring that fact.